What's your go-to outfit? Are you rocking the same thing or something else? Share away! 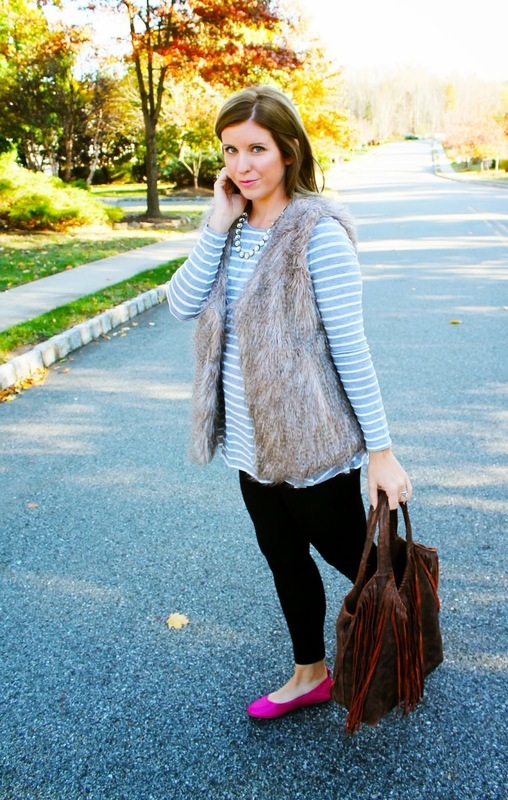 I lvoe that shirt and fur vest combo! Perfect mix of trendy and comfort! I hope I'm as chic as you when I'm a mom!! 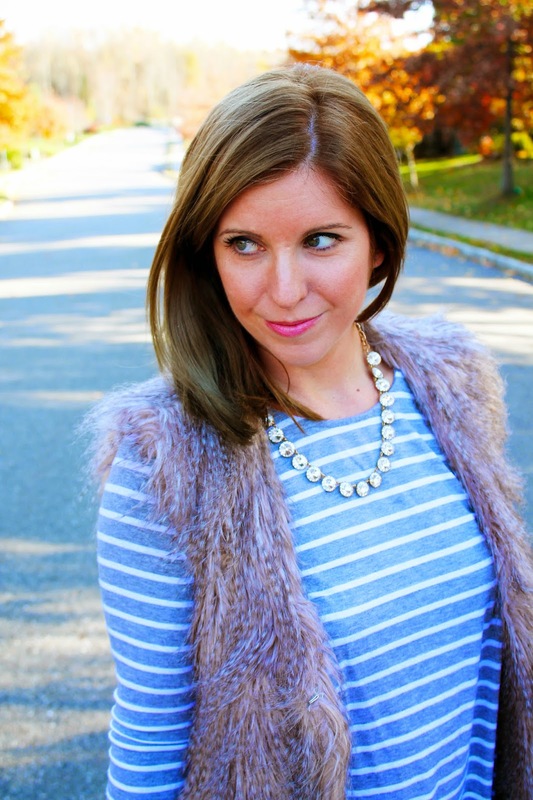 I am loving the vest with the striped shirt!! Your momiform is so chic! I hope once I have kids I still put effort into what I wear. So many women just let themselves go! 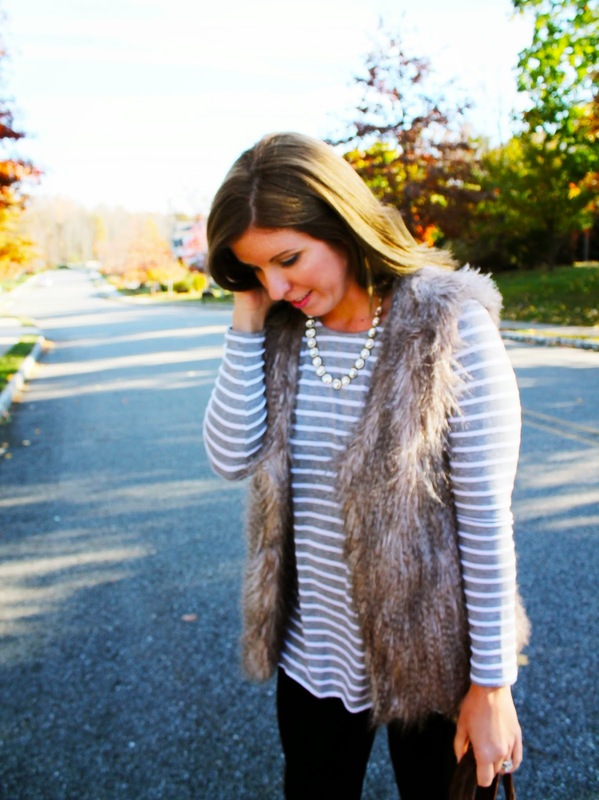 LOOOOOVVVVEEE that fur vest. You are really making me want to go out and find one like now! Love everything about this! My mom and I always say that it's just as easy to throw on something pulled together just like your outfit as it is to throw on jeans and a tshirt (blah). How in the WORLD have I not heard of fleece lined leggings?!? I need to invest in like 5 pairs of these right now!! Fleece lined leggings? How did I not know about these when I lived up north? Those would have been amazing! Did you officially give up on your shorts? 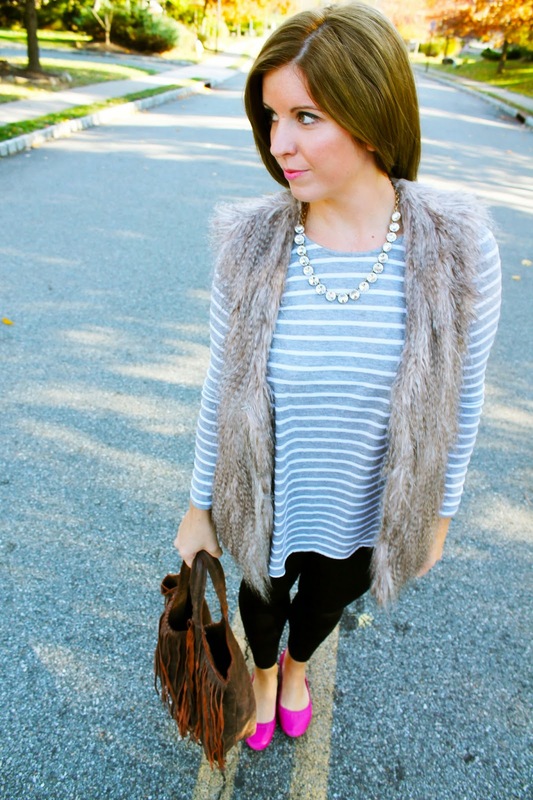 I don't know which I love more... the fur vest or the bright pink flats. Obsessed!! Wait, isn't the momiform workout clothes?! ;) You look fabulous as always - and that hair is amazing!